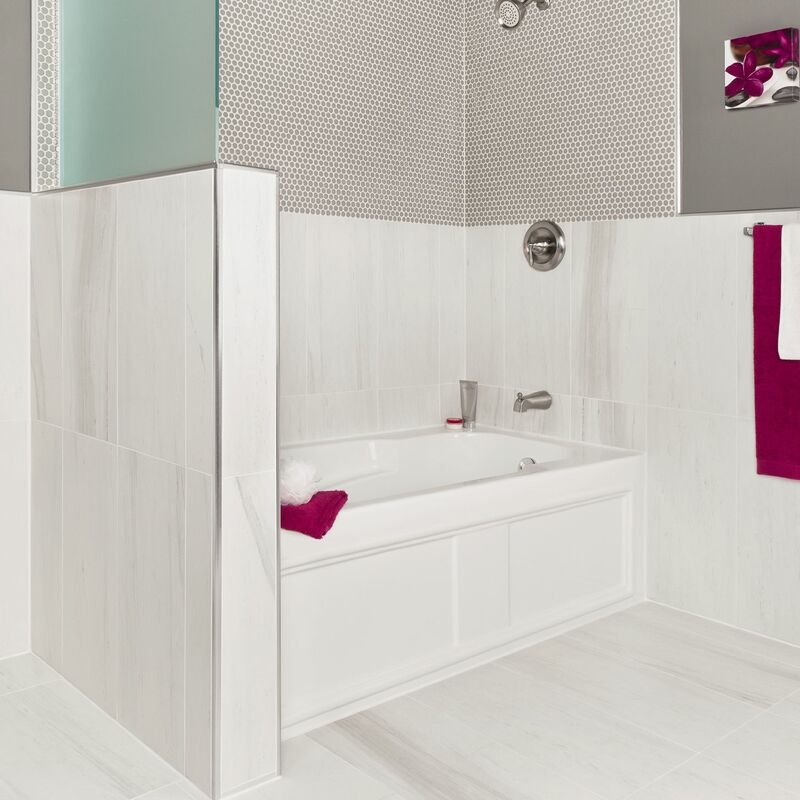 Bathrooms, wet rooms, and other sanitary installations frequently require partition walls to create separate shower or toilet stalls or to divide rooms. The construction of such walls using masonry blocks or stud framing with sheathing is time-consuming and often requires further preparation before tiling can begin. Also, as these materials are not waterproof, additional measures must be taken to protect wall cavities from water and vapor penetration. 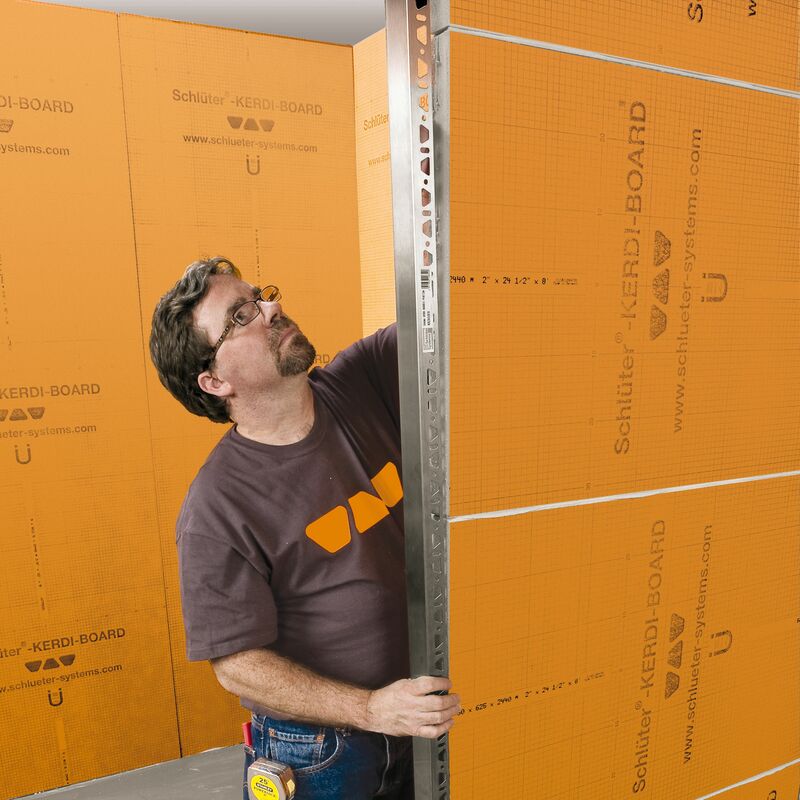 Stable and self-supporting partition walls ready for tile can be built using Schluter®-KERDI-BOARD. 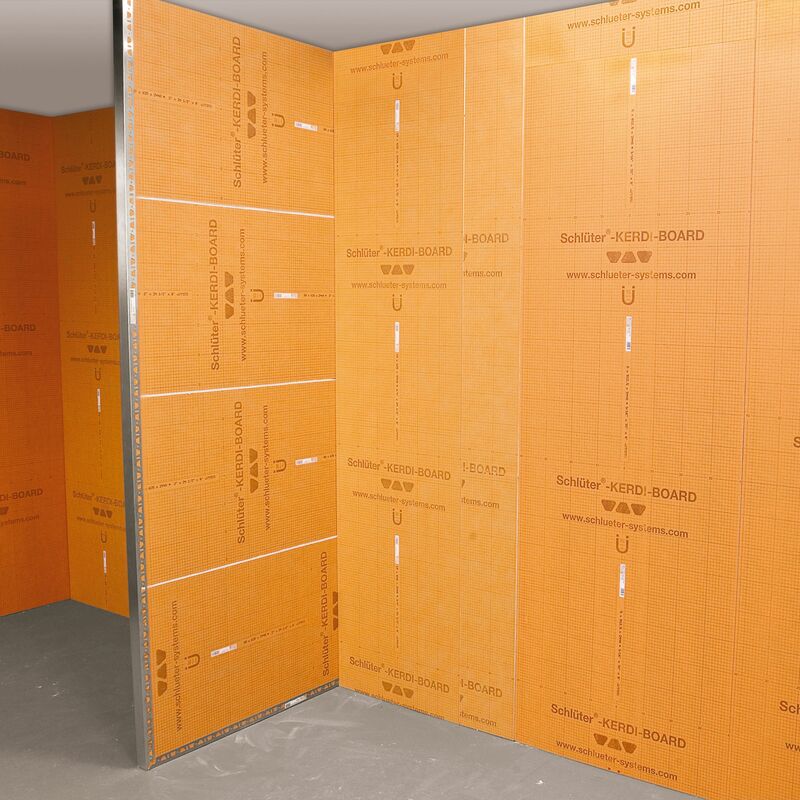 If required, the partition walls can be further attached or stabilized with the angled and U-shaped profiles, which form part of the complete system. 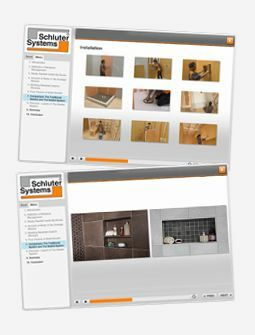 KERDI-BOARD is ideally suited to create anything from simple partitions to entire toilet and shower facilities. 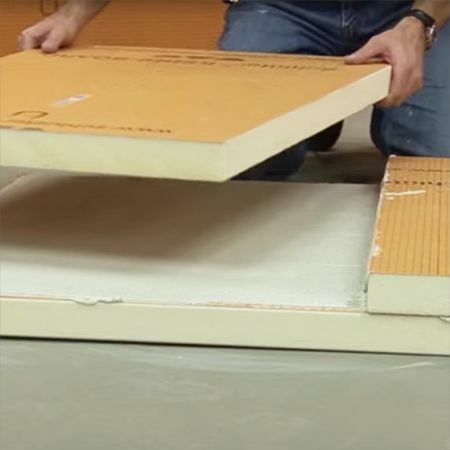 Step 1: Choose a board thickness of at least 2" and cut KERDI-BOARD panels to the desired size. Apply thin-set mortar to adhere the panels together. Step 2: Apply thin-set mortar or KERDI-FIX (depending on the surface) to all areas that will make contact with the panels, and set in place. 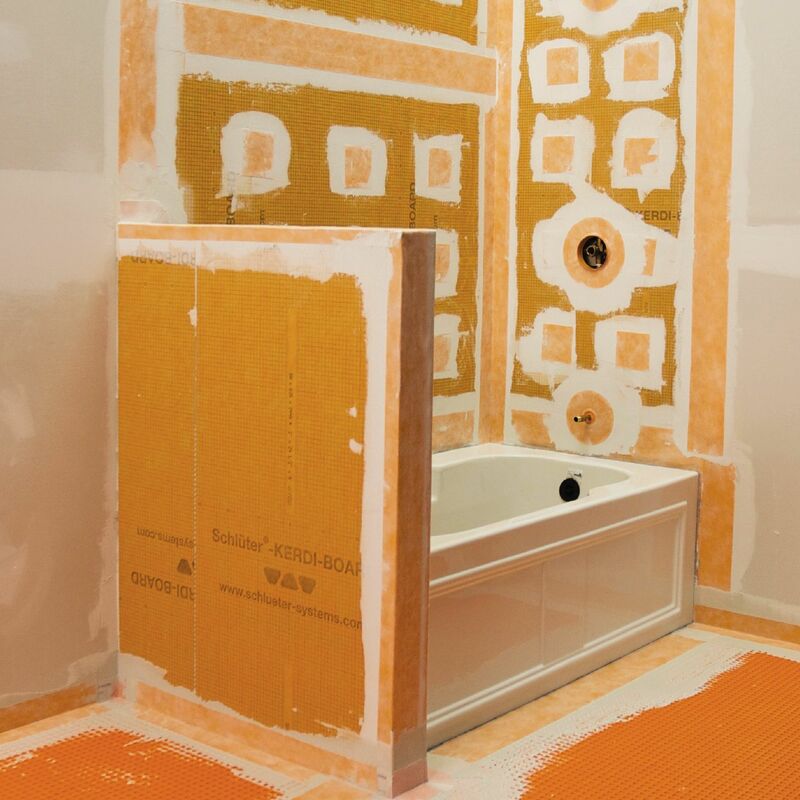 Step 3: When installing in a wet area, seal seams with KERDI waterproofing products. Step 1: Cut the KERDI-BOARD panels to the required size. 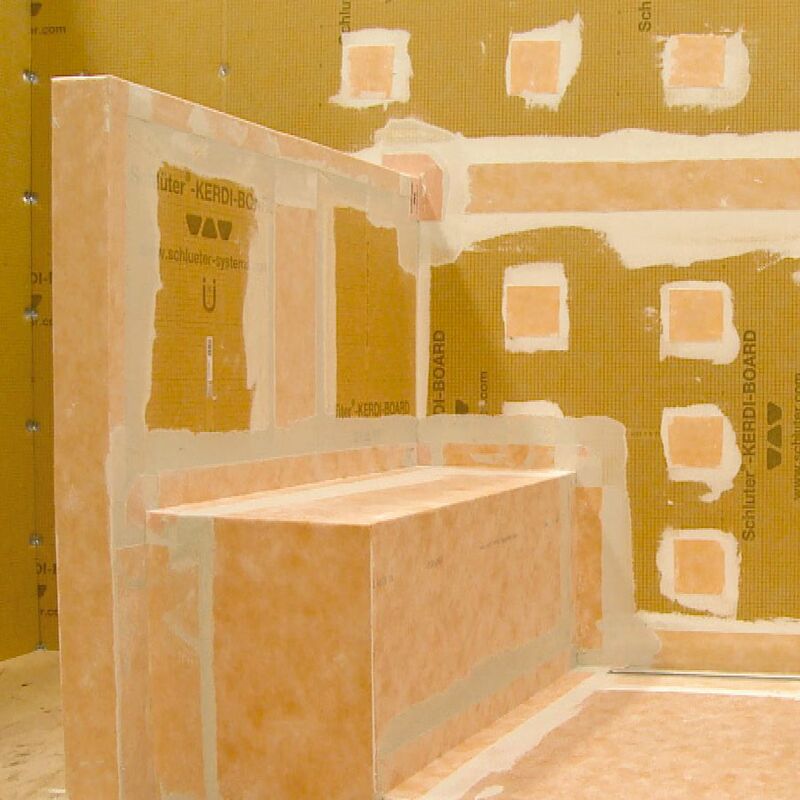 For a full wall, several panels can be connected using thin-set mortar or KERDI-FIX adhesive. Step 2: The KERDI-BOARD-ZW angle profile or KERDI-BOARD-ZB U-shaped profile may be used for improved stability. Step 3: Tiles can be installed using unmodified thin-set mortar once the bonding materials used to construct the KERDI-BOARD wall have cured. 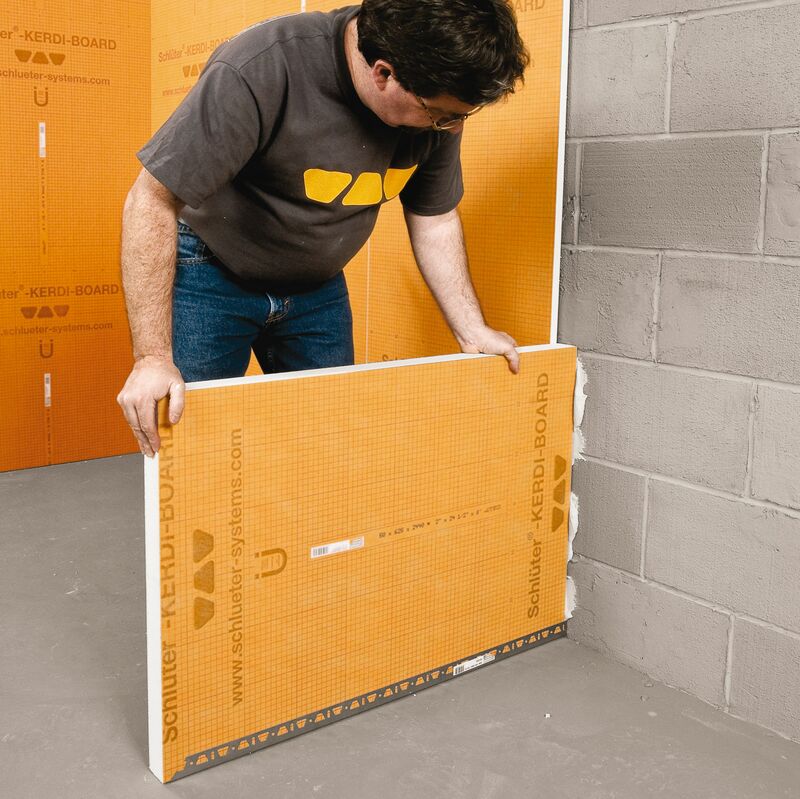 Lightweight KERDI-BOARD panels make building tiled walls, easy.